The average household relies heavily on their home WiFi, and when there are problems with the connection, the situation can become very frustrating. When your Internet is down, you probably have experienced a few things – waiting in line with customer service over the phone, plugging cables in and out, resetting your modem, router, or other boxes that you don’t understand and before you know it, you’re in way over your head with a big confusing mess, and still no connection! The truth is, home WiFi doesn’t have to be a complicated or overwhelming thing to deal with anymore. Set to release on March 15th, the Starry Wi-Fi Station redefines the way you think about your WiFi network. 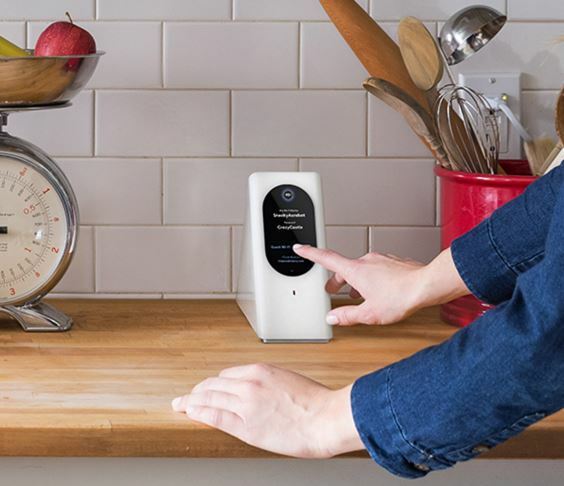 Known as the World’s first ambient touchscreen WiFi station, Starry gives you a clearer insight to your connection with all of the simplicity for anyone to understand, without lacking the functionality of your typical router or network bridge. Designed to provide powerful, safe and secure WiFi using an integrated MIMO antenna, Starry is a great choice for even larger homes. Fully compatible with both Mac and PC, it utilizes the latest in beam forming technology to provide a solid and reliable connection to each and all devices on the network, even if you have thick walls or two stories. 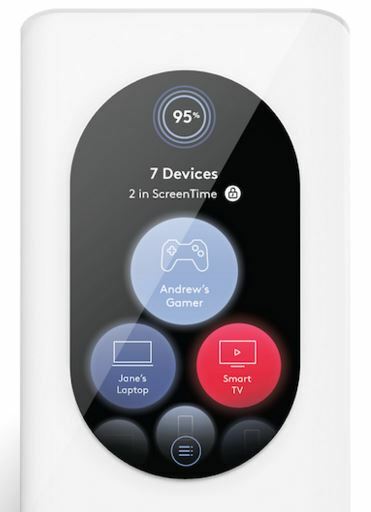 Starry excels with HD streaming, downloading, and even online gaming since it uses the latest in 802.11ac wireless technology. It’s the latest and greatest standard in WiFi that ensures the best bandwidth so there’s never issues with lag, extended buffering, or poor latency. In a matter of three simple steps, un-boxing and configuring Starry for the first time is a piece of cake. First, connect your modem into the Ethernet port of the Starry Station. Then, place on a counter top, desktop, bookcase, or anywhere that’s visible and off the ground. After you find a good spot for it, plug in the AC adapter and follow the brief instructions that appear on the display. From first glance, you’ll notice the beautifully lit 3.8 inch ambient touchscreen display that gives you total insight and control over all of the key features. You can swipe, press, and maneuver your way around the screen with ease, even in total darkness. When you view Starry from across the room, you’ll see a different arrangement of colors. Each color has it’s own meaning so you can visually understand what’s going on from a distance. Any shade of blue will mean that there isn’t anything to worry about, but Red will indicate that a problem has occurred. Over time, it will even consciously learn about your network environment and overall Internet Health. When Starry realizes an issue or a potential problem, it’ll suggest you ways to fix them. What’s coolest is the way it lets you know this. When you walk towards and approach Starry, the Internet Health screen will pop up and give you a closer insight as to what’s going on. 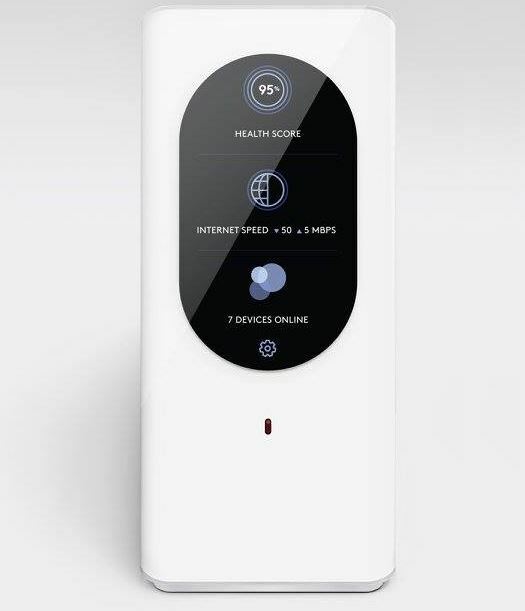 From here, you can see all of the devices that are currently connected to the network, the current Internet speeds, and a health score. Additionally, it’ll automatically run diagnostic speed tests every so often so you’re assured that you’re getting the appropriate bandwidth (speed) that you’re paying for from your ISP (internet service provider). It happens all too often, your children have a tendency to use their smartphones, tablets, laptops, or other devices way too often. With Starry, you can easily manage different “screen times” for individual devices in your home. With the free smartphone app, you can set time rules and keep your children’s devices offline during specific hours of the day. To make things efficient and understandable, everything is laid out in a simplistic manner where you can disable certain devices on school nights, weekends, etc. From your iOS smartphone, install the free Starry app and you’re offered extra features and total functionality from anywhere in the world. When you’re not home and you want to see who’s on the network or your current Internet Health, you can easily do that. From the interface you can adjust settings, add rules, enable 5Ghz WiFi, guest access, and much more. Although Android isn’t supported right now, it should be soon. They’re also working on a web user interface that’ll give you the same abilities through your browser. Safe and secure passwords are nearly impossible to remember on your own, and it’s not safe to keep them written down somewhere where some stranger or unwanted guest can find it. From the touchscreen on Starry, you can access the network name and password at anytime without going through any confusing or complicated settings. Overall, we’re huge fans of Starry and can’t wait for it’s release in March 2016. 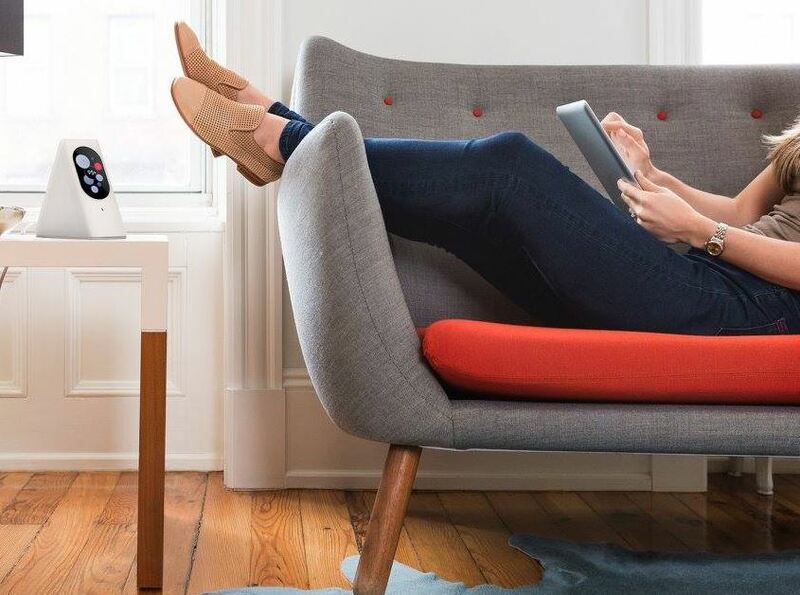 Available to pre-order now on Amazon.com for a $349 price tag, the Starry Wi-Fi Station looks to be a solid investment for anyone who wants reliable, trouble-free internet that’s never overwhelming. With it’s beautiful ambient touchscreen display and powerful monitoring capabilities, it’ll always keep you in the loop while providing an excellent connection at all times. 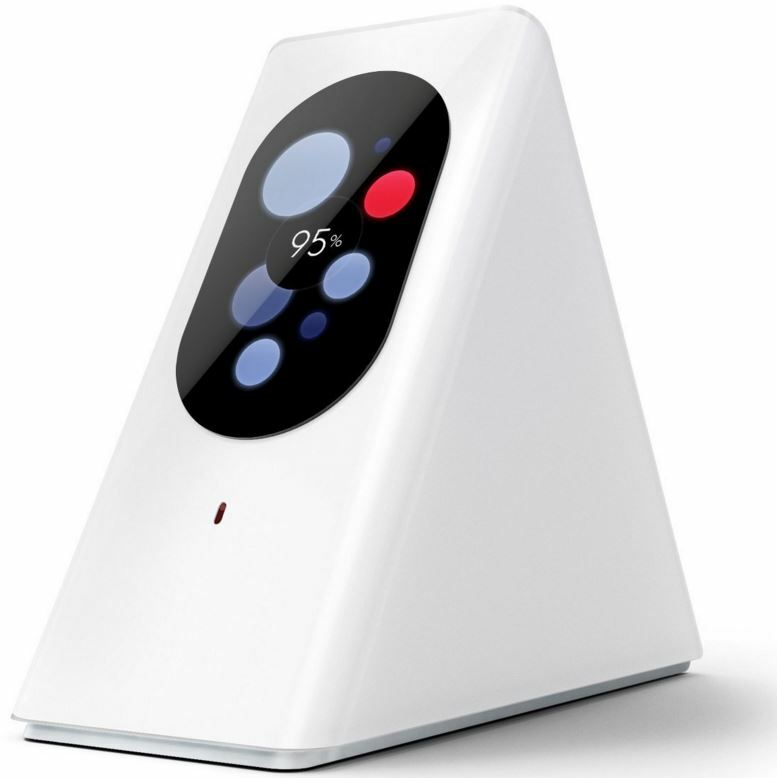 Say good bye to blinking red lights, confusing control panels, and overly-complicated features, Starry simplifies your network and assures the best possible home WiFi experience.